This booklet is reprinted from the June and October 1943 issues of Yachting magazine. It describes the various types of vessels used by "watermen" on the bay from the 1880's through the 1920's. Details are provided of their construction and rigs as well as numerous drawings of the skiffs. 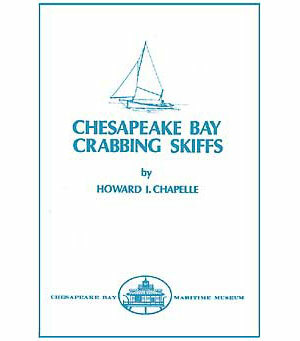 Written by Howard I. Chapelle, one of America's foremost maritime historians.